Instrumentarium Dental develops, manufactures and markets high-tech systems and solutions for dental and maxillofacial imaging. We work in close co-operation with dental professionals, universities and other research centers in our quest to develop solutions that will meet and exceed the expectations of our customers. As the establisher of panoramic X-ray imaging we are committed to providing high clinical performance while still maintaining simplicity, ease of use and workflow efficiency. 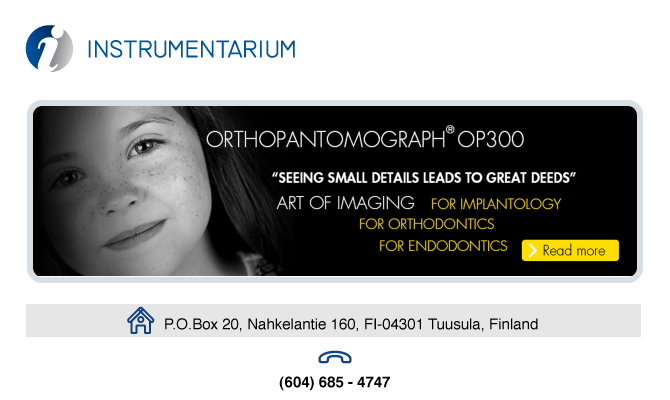 The Instrumentarium Dental product portfolio consists of a full range of premium quality imaging solutions for intraoral, extraoral and 3D imaging.